A National Geographic special introduced tens of millions of viewers to one of the most important biblical discoveries of modern times. Now a leading historian of the early church (and a featured commentator in the special) offers the first comprehensive account of the gospel, revealing what it contains and why it is so important for believers around the world. Ehrman recounts the fascinating story of where and how this ancient parchment document was discovered, how it moved around among antiquities dealers, and how it came to be restored and translated. He gives a complete and clear account of what the book teaches, and he shows how it relates to other gospel texts, including the Gnostic texts of early Christianity. Finally, he describes what we can now say about the historical Judas and his relationship with Jesus. The Gospel of Judas raises many questions. 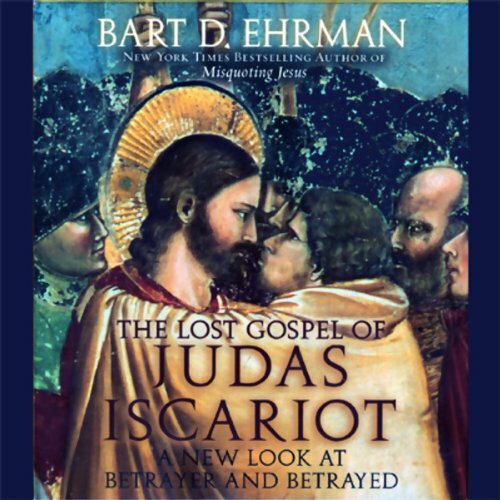 Ehrman provides illuminating and authoritative answers. Auch dieses Buch von Prof. Ehrman ist sehr interessant. Er setzt aber "the lost gospel" in einen größeren Kontext.Wichtig und interessant, wenn man sich nicht auskennt.Aber eben doch etwas am eigentlichen Thema des Buches vorbei. Deshalb nur 4 Sterne.